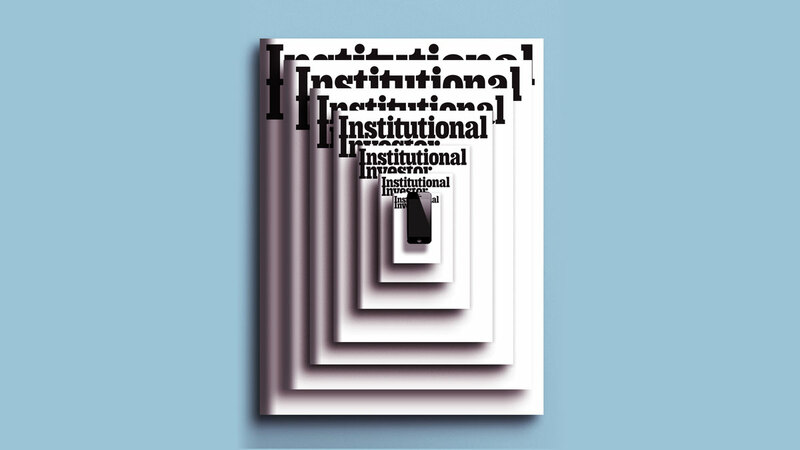 After 51 years, 588 issues, tens of thousands of ads, and about 20 million words, Institutional Investor publishes its last print issue — and doubles down on digital. On March 1, 2018, in a glass-walled room six floors above New York City’s Sixth Avenue, the editorial and creative staff of Institutional Investor gathered around a small table littered with recent copies of the print magazine. A few sat; most stood, arms folded. The lights, for some unknown reason, were off. No one bothered to turn them on. The team, about ten people in total, were there because they’d been told to be there. They’d been summoned to the company’s midtown offices on this specific Thursday morning to hear perhaps the most momentous announcement regarding the magazine since it was founded, by a 26-year-old man named Gilbert Edmund Kaplan, 51 Marches before. In his letter to readers on page 13 of that first issue, Gil, as he was known, wrote of the money management industry that he was to cover: “As a profession, it is changing continuously, so much so that it bears little resemblance to the same field only a generation ago.” If any in the meeting had read and remembered those words, they would be especially poignant. The profession those in the meeting had chosen — financial journalism at a print magazine — was, in a very real sense, about to be fundamentally altered. For they were gathered in that darkened room to learn that after 51 years, 588 issues, tens of thousands of pages of ads, and about 20 million words, the next one — this one — would be Institutional Investor’s last print issue. The zygote of that decision would come not from of a lack of commitment or mediocre strategy or poor leadership, but — via an evolutionary cycle that invites both awe and horror — by the very nature of the business that Institutional Investor has spent 51 years covering. It has become fashionable to blame Facebook for all that pains the publishing industry. Yes, Mark Zuckerberg is an easy target following revelations that Facebook effectively stuck its head in the sand over legitimate “fake news” and data security issues. But institutional investors largely don’t access work-related content via a news feed that prioritizes cat videos over serious discourse. As far as I can tell, advertisers to these investors haven’t focused their dollars on microtargeting, which is so essential to Facebook’s profits. No, another company best symbolizes why Institutional Investor chose to begin publishing entirely online — and, against all conventional wisdom, actually invest more capital in reporting on, and about, the audience. Chartbeat, as most readers will not know, is a tool used by editors and publishers to track website traffic in real time. Similar to Google Analytics, it provides people like me with insight into what gets read — and how. For example, to those seeing this on InstitutionalInvestor.com, I know how long you’ve been on the page, on average, and which paragraph most of you get stuck on. I know exactly how many scrolled beyond the first three paragraphs. I know if you arrived via an email link, a social network, through a Google search, or just by browsing. I know how many of you leave this page without first moving elsewhere on our website, and I’ll know if you ever come back. And so, like Snapchat for your teenager upstairs, Chartbeat is insanely addictive to me and other editors who want to know, in real time, which articles draw people in. The problem with print is that if you are one of the 110,000 people physically holding this magazine, I have absolutely no idea whether you are reading this article or not — and neither do the advertisers who pay for adjacency. This cascade of data has caused advertisers to almost entirely abandon print magazines. The first issue of Institutional Investor in 1967 had 25 pages of advertisements. This, our final issue, will have fewer than six. The situation has almost nothing do with Institutional Investor — our competitors are enduring this exact same trend. It has everything to do with advertisers’ sensible urge to measure the effectiveness of their advertising dollars. This print magazine, and every print publication, simply suffers the collateral damage. Building a system that tracks online user preferences takes money — the kind of money that local banks don’t lend you. It takes institutional money. Indeed, Chartbeat has plenty of that. According to its website, the company has three major backers: DFJ Venture Capital, Harmony Partners, and Index Ventures, all with ties to the likes of Facebook, Dropbox, Skype, Tesla, and a plethora of other start-ups. Dig deeper — and you have to dig, given the opacity of capital flows, even in Chartbeat times — to find the investors capitalizing these firms. One is the Los Angeles City Employees’ Retirement System, which manages money for more than 40,000 current and former city workers and has committed tens of millions of dollars to DFJ. LACERS’ investment team is also II’s target readers and conference attendees. In a very real sense, it’s as if the Los Angeles city workers and pensioners who might drive for a local taxi company to make ends meet invested in Uber Technologies — the very company killing the taxi business. Which they did, for LACERS also invested millions in private equity firm TPG, a major investor in Uber. If there is a downside to the Chartbeat era beyond nostalgia for print’s rich materiality, it is, bluntly, the debasement of journalism. When editors and publishers attempt to hack human psychology — our elemental need for dopamine hits — in a way that values quick page views over long-term brand strength, the degradation begins. Content farms — websites that combine lousy content with enticing headlines, otherwise known as clickbait — built their businesses on the practice. We’ve all read it, and all almost instantly regret it. The existential crisis of the Chartbeat world lies in the gap between the promising title and the disappointing payoff. Whole companies have been created to exploit that gap, and some longstanding brands have succumbed to its temptations. Others have resisted. They have done so not because of some old-fashioned view of journalism — or at least not primarily — but because of institutional factors that restrain them. Take the New York Times. Whatever your view of the Gray Lady’s current work, her brand relies on being the preeminent place for serious news. Yes, they could increase page views in the short term (“Seven Reasons Donald Trump Will Fire His Lawyers. No. 4 Will Shock You.”) but irreparably harm them in the long term. The Sulzberger family, the Times’ controlling shareholders, know this, and thus the Times’ content delivers what the headlines promise. Bloomberg is an even better example, particularly for Institutional Investor. 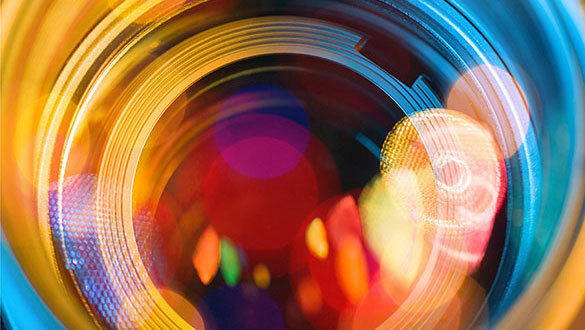 Bloomberg’s news-gathering and publishing capabilities are an editor’s dream: thousands of journalists, a broad editorial mandate, strong technology — and no expectation of even approaching profitability. Bloomberg as a journalistic enterprise exists simply to support its insanely profitable terminal business. The reporters know that any flirtation with pulling one over on their users would be bad for the company and most likely result in an abrupt exit meeting with HR. Institutional Investor’s terminal is in-person events. What readers will not know — what even II editorial staffers in that darkened conference room likely hadn’t realized — is just how little the print magazine mattered to the health of the company. Asked to guess the percentage of company revenue print advertising represented, every one of the ten would have overestimated, some by significant margins. Even employees familiar with the company’s financials would be shocked at the brand’s successful and long-ago transition to, in effect, a subscription-based conference company. Within nine months of publishing the first edition, Gil Kaplan had come to realize the power of translating the magazine — a vehicle to connect buyers and sellers of financial services — into real-time experiences. According to his 2016 obituary in (where else?) Institutional Investor, that first event attracted 1,500 people when 300 were expected. One meeting ballooned into what is today exactly 100 events worldwide. These events, along with the research that Kaplan also pioneered, contribute the vast majority of Institutional Investor’s revenues and profits. Any undercutting of that equation by way of brand debasement, therefore, would be devastating. That fact, while true, was hardly on the minds of those gathered on the sixth floor of the Institutional Investor offices on March 1. Instead, at least one was thinking of the adage “Murder your darlings.” (A literary cliché but an underused business strategy, in my opinion.) Its lineage can be traced back at least a century, but its meaning remains constant: Writers should never fall in love with their sentences. A counterintuitive rule for improving a piece of writing is to cut the most adored parts away. As the ten editors, writers, and creative staff left that darkened room, they — as well as the executives who had made the decision — had essentially done just that. Every journalist, publisher, and owner worth their salt feels a twinge of sadness when a great media brand ceases printing a magazine, even if, as in this case, the journalistic engine runs better online. Yet they had ended a practice that had become little more than an indulgence. As the staff went back to their desks, something absolutely normal happened: They began to discuss what stories to cover that day. One of them, it turned out, had just received a list of the hedge funds that managed to lose money in 2017’s raging bull market. It would make the perfect lead story for the next email newsletter, they decided.